Flowering Burdock---Yep, it's too late for those roots now, as I sadly found out! Find out how to grow, use, and forage for Burdock! But First: A Bit about Burdock, as a Medicinal Herb. 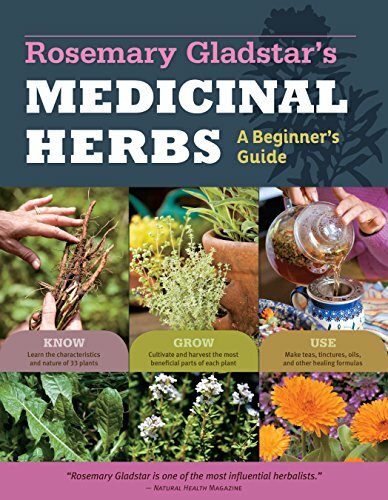 According to Rosemary Gladstar, in one of my favorite books, Rosemary Gladstar's Medicinal Herbs, a Beginner's Guide, Burdock "is quite simply one of the safest, tastiest, and most effective detoxifying and cleansing herbs in Western and traditional Chinese medicine." Burdock is well-known for its ability to help alleviate skin issues, including acne, eczema, psoriasis and others that are often caused by hormone or chemical imbalances in the body. You can take it internally as a tea or more powerfully, a tincture. And externally it can be used as a wash or infused into oils to create salves or rubs. It is especially powerful when used in conjunction with Dandelion root, another great and common liver cleansing herb. In addition to its blood purifying and liver detoxifying properties, Burdock may have anti-cancer and anti-tumor properties. Scientists are learning more about Burdock every day. It is one of the components of the popular folk tea for cancer, Essiac Tea. Burdock cleans your whole system, including helping lymph fluids to flow, alleviating swollen lymph glands. I did an experiment the Spring before last (2015) and threw some Burdock seeds into one corner of my garden. Now, keep in mind that I live in an area where the soil is BAD---rocky, alkaline, and sandy. That was my first year gardening in that particular area of our yard, too, which means that the soil had not even had one season to build up nutrients! (See my article on how we amended this poor soil.) I did not expect a great deal from the poor little Burdock seeds. But lo and behold! Some plants sprouted! And grew! And grew! And before I knew it, I had a nice little patch of cute little first year Burdock plants. Burdock is a biennial, like Mullein (which you harvest in the second season), so I just assumed I would do the same with the Burdock. WRONG. Wrong, wrong, wrong! The second year, my Burdock plants became gigantic! Just HUGE! And the beautiful purple flowers with the signature hooks emerged. I was thrilled! That is, until I decided to pull up the roots recently. What I found was not a reasonable soft, pliable root. It was tough (too hard to cut with even a sharp kitchen knife), pithy, and used up. That is what happens to roots when they are pouring all of their stored up energy into the flower! Why didn't I realize that? Hello? But I didn't. So I ended up with some really great-sized roots---but they were unusable. These are second-year roots, and they are too hard to cut up and use. You need to gather the roots during the first year! Before the flowers bloom! At any rate, the flowers have gone to seed, and I am sure I will have a TON of my own Burdock Root to harvest next year! In the meantime, I will continue obtaining my organic Burdock Root from Starwest Botanicals, an excellent online bulk herb shop that focuses on sustainability and quality. I have never been disappointed in any of their herbs. Learn how to formulate your own herbal teas for health & pleasure! I prefer to just use it in teas and tinctures for the purposes mentioned above. Anytime I have a skin issue or just feel yucky or congested, I pull out the Burdock Root. It's a safe, tasty herb! You can decoct it to make a tea (in addition to Dandelion Root if you like), or you can tincture it. See my article about how to make a tincture. If you would like to experimenting with cooking the root, you can make a great-tasting dish (Japanese origin) called Gobo. If you are near a good Asian market, you can even purchase the roots there, too. You just steam them, and they have a wonderful flavor. Even though the above roots were too pithy to use, I was able to dig up one first year root. I added it to a little saut'e I was making, and it definitely does taste good. As Hippocrates has famously said, "Let Thy Food Be Thy Medicine." I'd sure love to hear your thoughts and experiences about Burdock! Please leave a comment! P.P.S. Don't forget to sign up for the HHH Newsletter and never miss a thing! When you do, I'll send you a link to my eBook, "How to Relax Using Herbs." This article has been shared at these link ups: The Homestead Blog Hop, The Homesteader Hop, Grandma's DIY, Our Simple Homestead Hop, and The Homestead Bloggers Network! Stop on by for lots of information and homesteading tips! The book above is one you may find often sprinkled in relevant posts and that is because it is seriously one of my all-time best favorite books for learning about basic herbs and their uses. It's easy to read, Rosemary gives clear directions for growing and using the herbs, and the pictures are terrific!